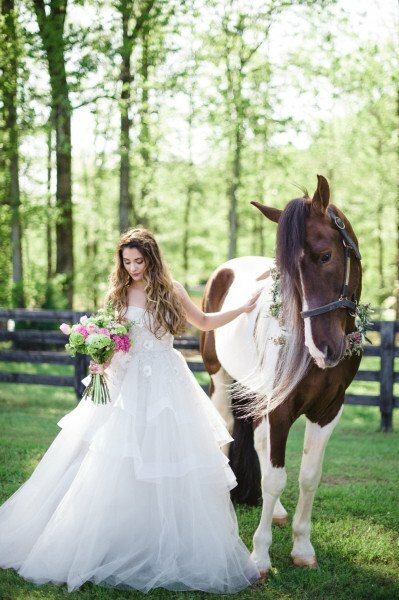 Featured in The Celebration Society this equestrian styled shoot captured by Scobey Photography at the dreamy High Shoals Farm in Watkinsville Georgia was a horse lovers dream! The venue features a Stables with a horse, shock!!! As well as a Vineyard, an Italian Piazza, a Tuscan style house and my favorite… a Lake with an Island!!! All in acres of manicured grounds. Our special area was to be the island in the lake. This allowed the Weeping Willow to be the back drop for the lovely full table we were to create. Our creative direction from the uber talented Britain Lamon Events who corralled us all and kept us smiling in the heat! 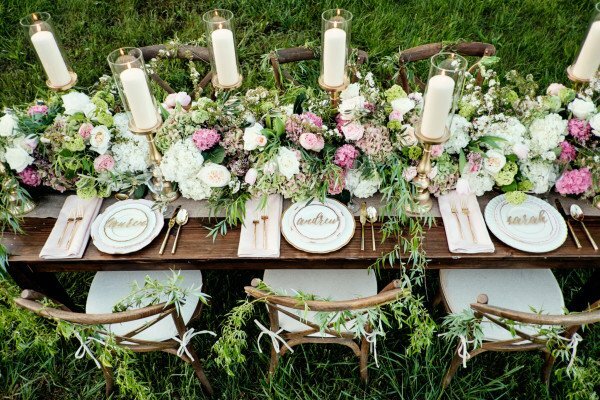 Our rustic table and chairs from Peachtree Tents provided the base for the amazing Heath Alan Ray of Jackson Durham Events to do his magic with soft luscious floral and candles for a show stopping table.He also rowed the boat to the island!! 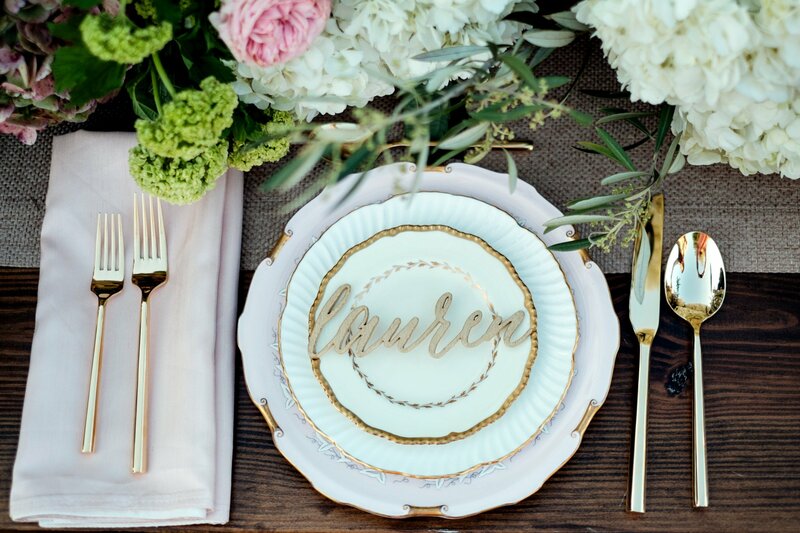 I was delighted to provide the place settings, layering pink, blush and whites with gold accents from my range of mismatched Vintage Fine China imported from England, for that extra touch! 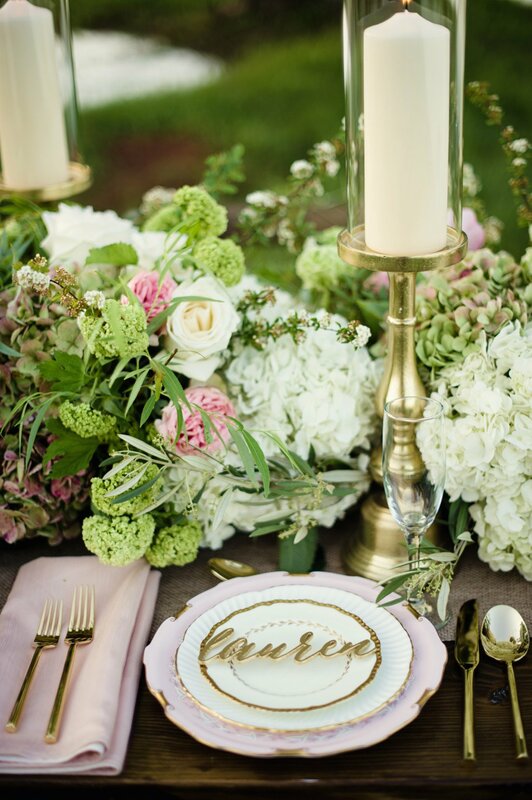 Each piece is a piece of art on its own but when layered together it creates a table that your guests will remember. 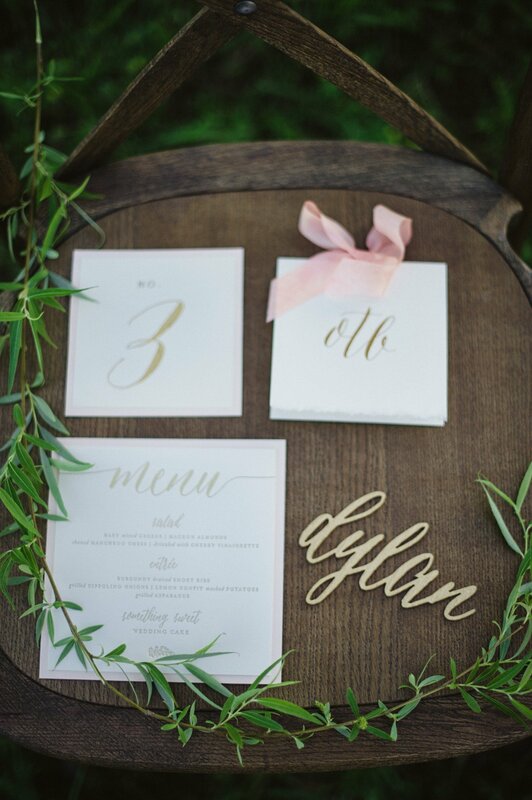 Extraordinary stationery from Poppy Gray Designs and linens from BBJ Linens to add that extra touch. 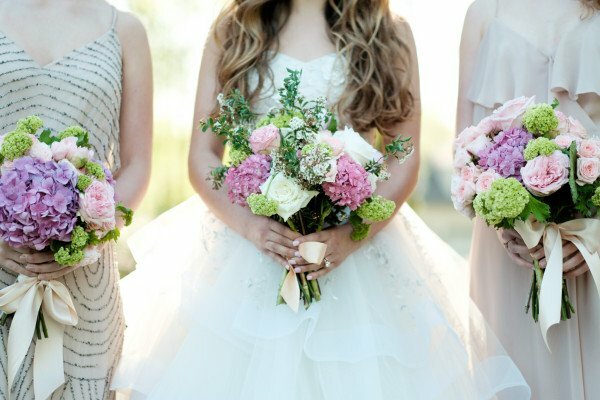 Our Bride was administered by the Brushworx team, always beautiful and such fun to work with too! 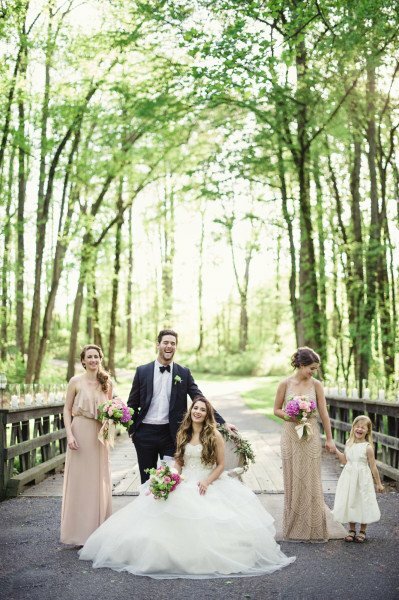 The gowns from Anne Barge and Bella Bridesmaids were ethereal and softly flowing creating the fairytale feel the designer was looking for. 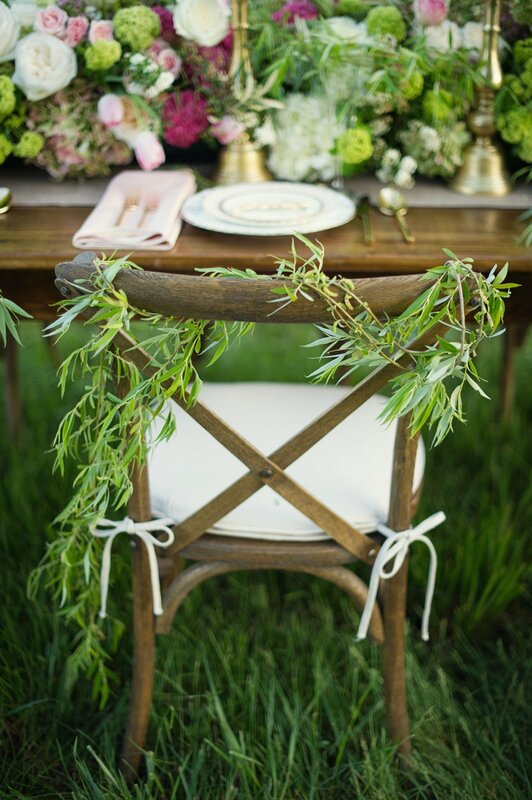 The Modern Gent made our model a stand out – great job as always from Kate. 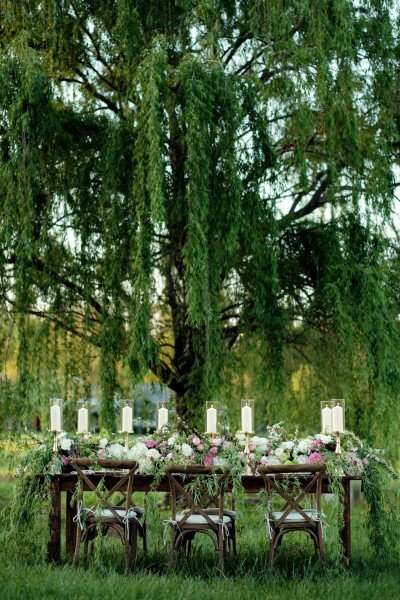 For me the wispy weeping Willow on the Island in the middle of the Lake is just the ultimate outdoor fairytale space for any upcoming nuptials!